Twelve parts of a whole, Intertwined success and joy, Fail forward, Fellows. Hello, my name is Crystal Vega, and I am a 2018-2019 St. Louis Coro Fellow. I am an each and an every, an individual participating in a nine month experiential learning fellowship in public affairs and one-twelfth of a cohort. Each and every. It feels so natural to use that phrase now, and yet I can’t pinpoint the exact moment my Coro Trainer, Michelle Miller, introduced the term. Rather than express doubt or lament the fact that my actions were linked to the actions of eleven other fellows, I became ecstatic. I felt like we were operating as a small city council, mapping out how we wanted the program to look like and what learning we wanted to gain. When the McCarthy Center asked me to write this blog post, I was so humbled. 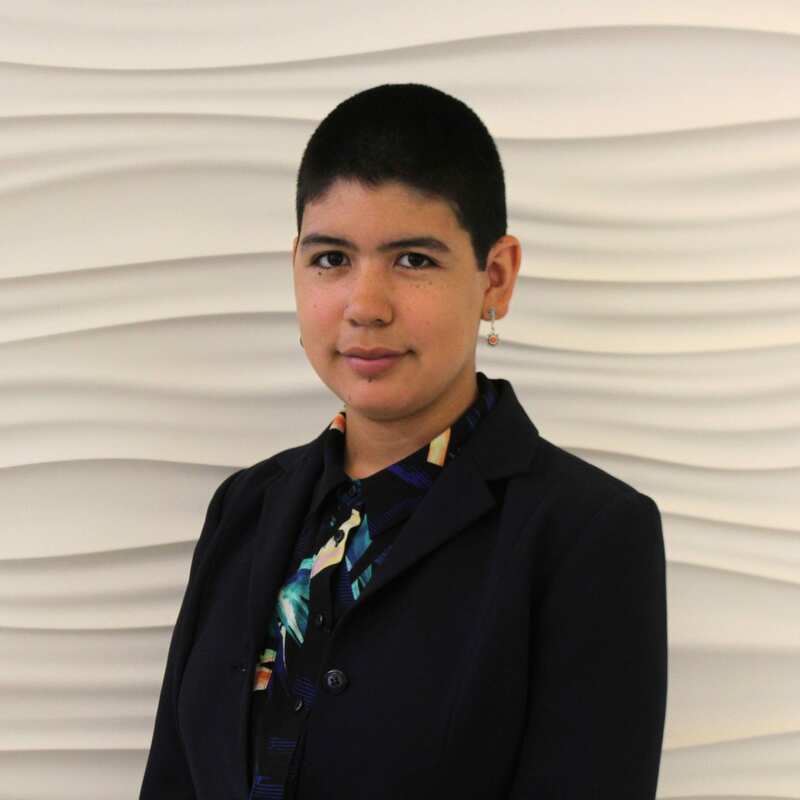 I graduated from the University of San Francisco in May 2018 and while I was a student, I participated in the McCarthy Fellows Program, minored in Public Service and Community Engagement, and worked for Engage San Francisco. The McCarthy Center was my home and my community. The Director, David Donahue, is the person who introduced me to the Coro Fellows Program and encouraged me to apply. At the time, I was trying to graduate within three years with the intent of moving back home to Southern California. I had been away from home for three years, and I was ready to go back. I remember telling the judges during my Coro interview that I wanted to go home. I had gone to school four hundred miles away, and I was going to return with the tools I needed to support growth and equitable change in my hometown. Instead, I ended up moving over a thousand miles away to St. Louis, Missouri. When I got into the St. Louis Coro Fellows Program and not into the Los Angeles or San Francisco program, I talked through my decision with Angie, Nolizwe, and Dave at the McCarthy Center. They assured me that it was okay to make this decision for myself and start all over again. I was afraid I was going to be alone and felt so much pressure to make something out of this program, to grow and to stretch more than I ever had before. I was leaving behind my family in Southern California and my newfound community in San Francisco. 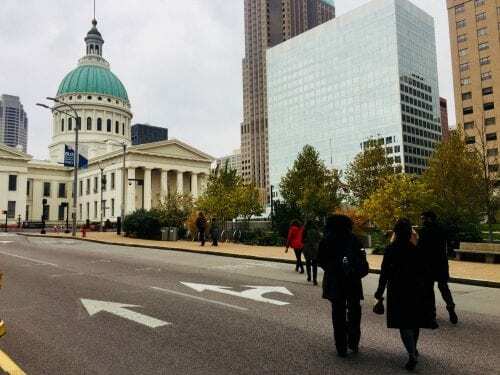 Then, during my first week as a St. Louis Coro Fellow, I learned about each and every, this idea that we would be operating as an individual in this program and as one-twelfth of a cohort. Coro was not a competition. It was about twelve people moving through this program together, supporting one another in reaching shared learning commitments and development goals. Our performances were intrinsically linked. If one person turned in an assignment late, we had all failed to provide each other with the support that we needed. Through my experience as a Critical Diversity Studies major and McCarthy Center alumni, I carried with me a commitment to equity and social justice which I brought with me to the cohort. The McCarthy Center showed me what civic engagement looked like, felt like, and meant to me. It taught me how to be in community and understand the importance of being part of a whole. I learned how to write a manifesto on the most salient topic in my life and constantly reflect on my development. The McCarthy Center, along with my majors in Critical Diversity Studies and Urban Studies helped me come into Coro with a firm grasp on my values, and hold onto them while navigating a program that requires you to take an oath of political neutrality. Coro became a merging of old and new commitments, and gave me new tools to be in development and in action. It also gave me eleven other Fellows — Gabriela, Yoni, Brittany, Daniel, Nick, Jamie, Edgar, Sydney, Cassidy, Anna, and Barbara — to support and be supported by. We are responsible for one another. We care for one another. We aren’t mere colleagues or friends. We are a cohort, an each and an every. Once again, I have found community, and I am so grateful for this opportunity to grow and fail forward together. 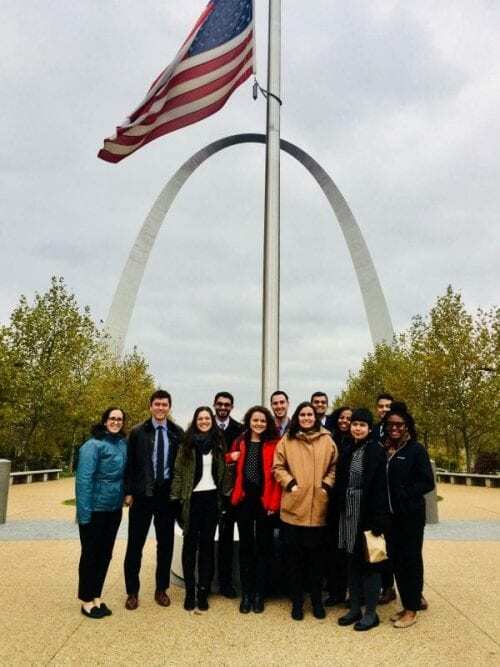 If you would like to learn more about Crystal’s experience as a St. Louis Coro Fellow or more about the Coro Fellows Program in Public Affairs, you can reach them at ​vega.corostl@gmail.com​ or visit ​http://www.corofellowship.org/​. This entry was posted in Academic Year 2018-2019, Alumni, Engage San Francisco, Leo T. McCarthy Center (LTMC), Uncategorized, University of San Francisco, Urban Affairs and tagged coro fellow, coro fellows program, Critical Diversity Studies, Crystal Vega. Bookmark the permalink.